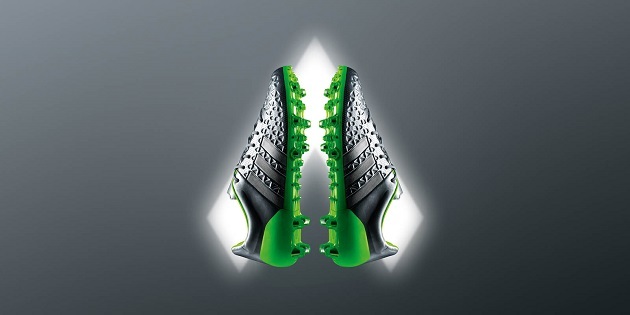 Time to chrome out in the adidas Eskolaite Pack. 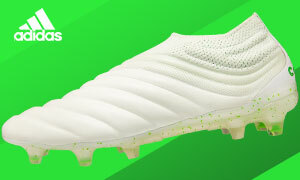 With another entry in their Limited Collection, the Three Stripes have coated their X and ACE boots with a stunning silver and green. The pack’s name has been taken from a rare chromium oxide mineral first found in Finland. 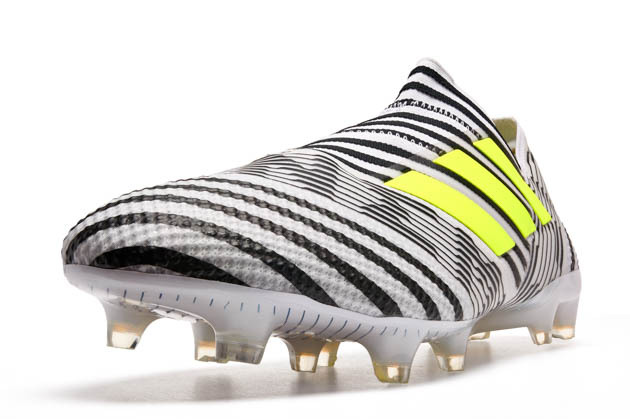 While not exactly the same colors found on the new boots, I think the rarity of Eskolaite rock translates well to the uncommon look adidas have fashioned here. Trust us, these are just as gleaming and shiny in real life as they look here, maybe even more so. 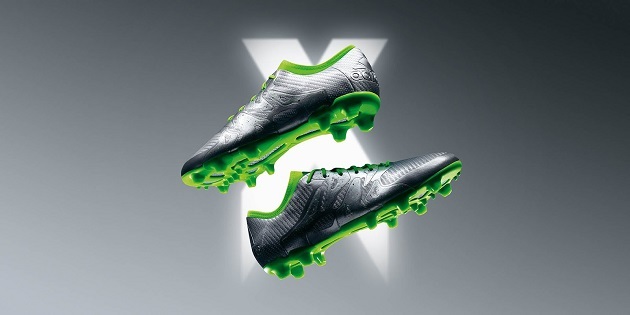 Chrome covers the majority of both boots, with subtle flecks of green ingrained in the X 15’s upper design. 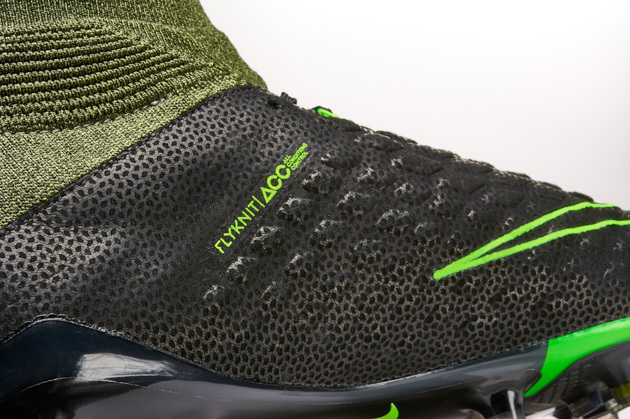 A bright neon green accents the laces, collar, and outsole of the X and ACE. 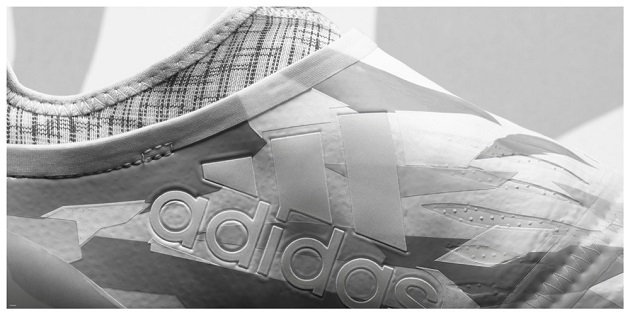 It’s not a conventional choice with silver, but somehow adidas pulls it off admirably. When it comes to the tech on these, you can rest assured that nothing has been altered when adidas applied the chrome job. 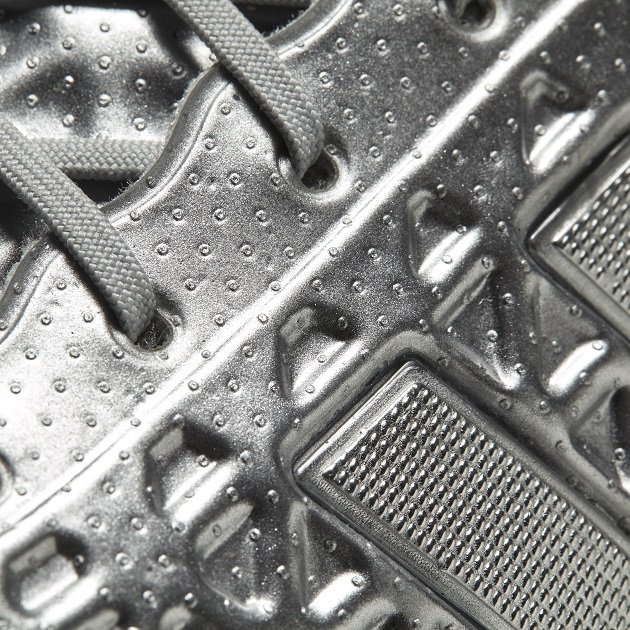 The X 15.1 still has the X-CAGE to keep your foot locked down and stable, while the ACE 15.1 still has the unique NSG (non-stop grip) skin, which utilizes 3D dots for ultimate ball control. So far, adidas has run the gamut of colorways for their still-new X and ACE shoes. Launching with Solar Yellow, they blacked them out next before moving on to an impressive Solar Blue. Now you can add chrome to the list. 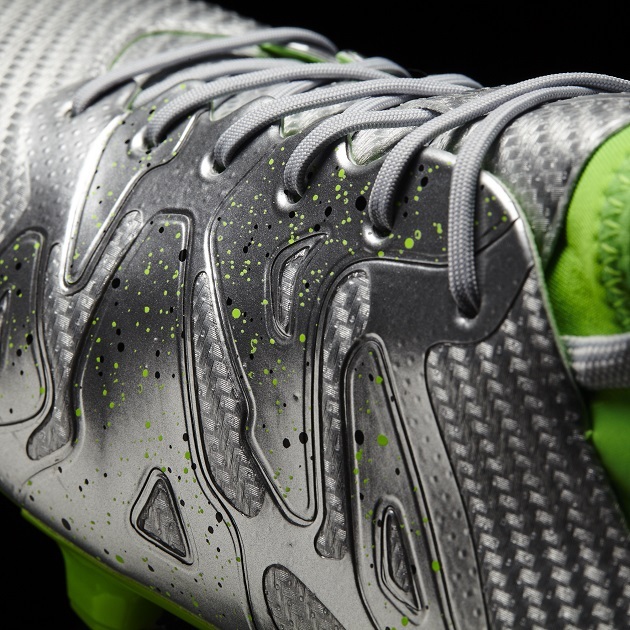 Go ahead and escalate, or Eskolaite, your game in the new colorway.